Hooray for warm and sunny days! 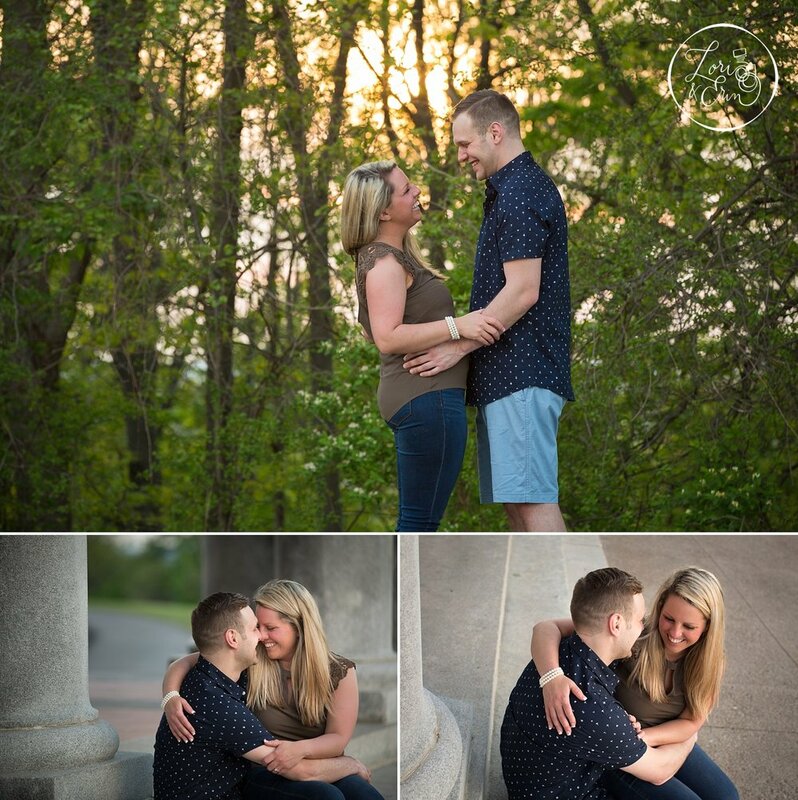 Danielle and Ryan's engagement session got rescheduled TWICE before we finally had the night we wanted. All that rain last month gave us a challenge - but we persevered! They love a good sunset and being outdoors with their pups Lexi and Gage. 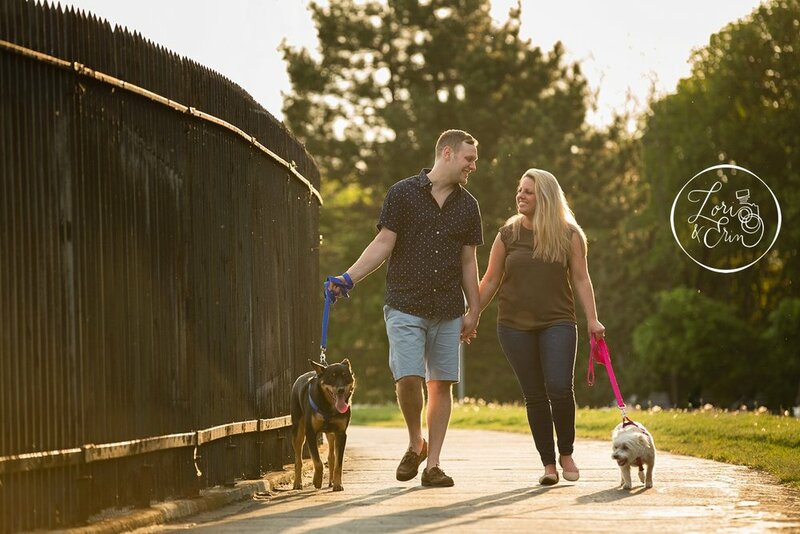 Side note, as a puppy, Gage helped Ryan propose to Danielle - so naturally we included him in their engagement session. It was a busy night at Cobbs Hill Reservoir, as it was one of the first 80 degree evenings of the year, but they didn't seem to mind. They are a beautiful mix of sweet and silly together. They make each other laugh at the right moments and fit together perfectly. 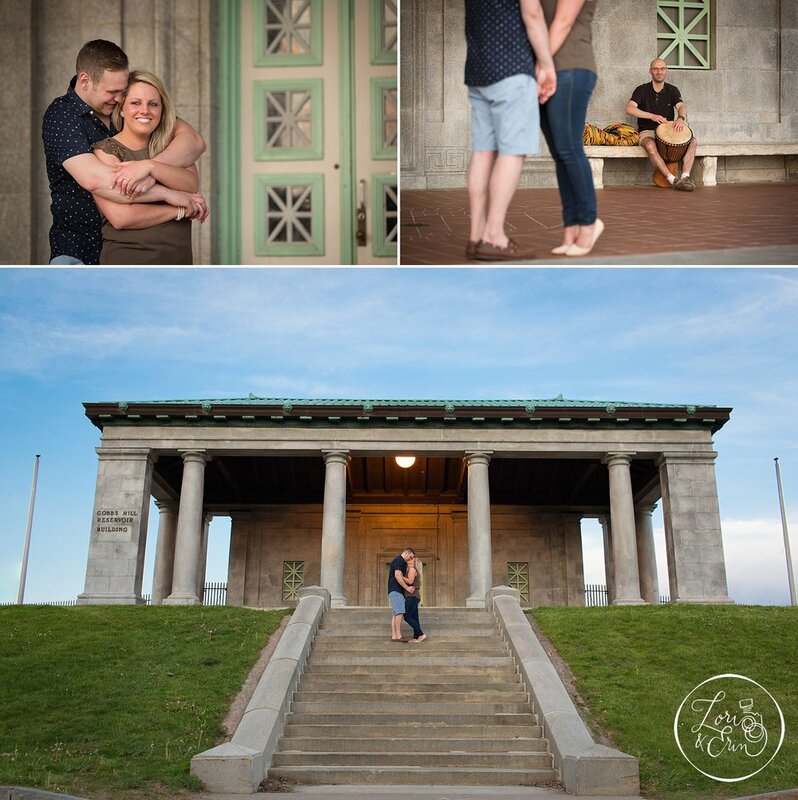 I can't wait to witness and capture their Statler City wedding in Buffalo in just a few months! Until then, enjoy this little peek at their love.